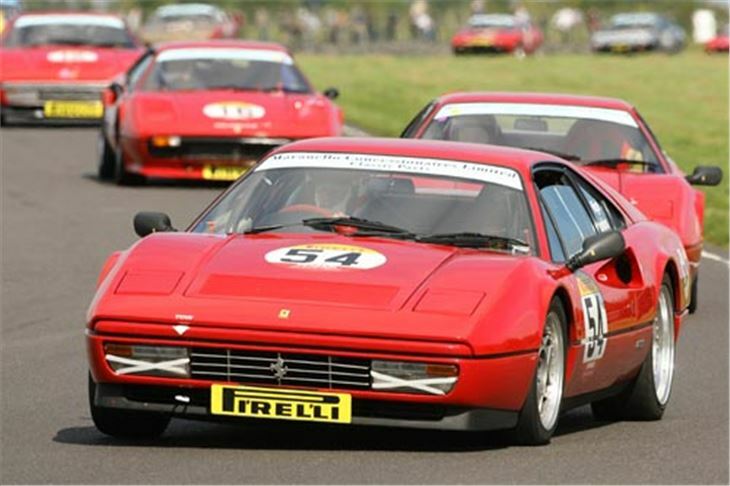 Live television coverage returns to the Castle Combe Circuit after a 50 year gap, with the hosting of the Motors TV Live Race Day on Monday May 2. The meeting will be beamed live to the TV screens of viewers in 39 countries and is the first time an entire event has been broadcast from the circuit. The last live broadcast was at a motorcycle meeting in May 1961, whilst in 1955 the BBC covered both the start and finish of a Formula 1 race there. Spectators at the Wiltshire track have an added bonus for the event with giant TV screens at Camp and Quarry to help them keep track of even more of the action than usual. 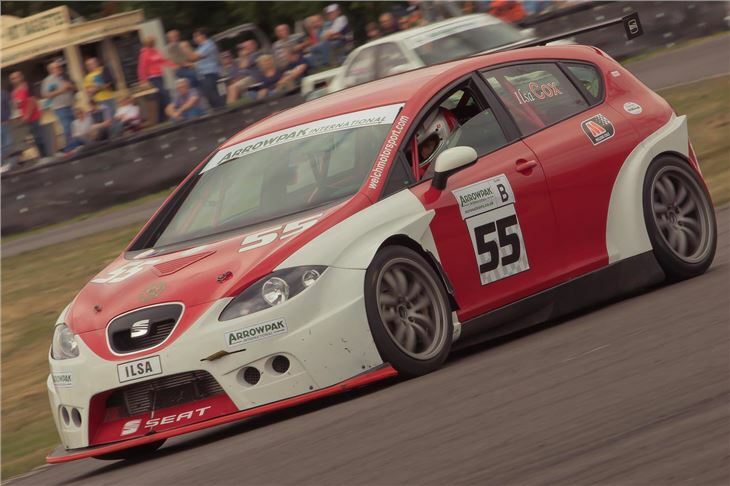 As is traditional at Castle Combe, the accent is on non-stop action, with a packed programme of generally short races, where sprinting to the finish will be more important than pacing and preserving tyres. Nevertheless, with two races for each of the circuit's home grown championships for saloons, Sports & GT cars and Formula Fords, there will need to be a delicate balance in the first races between car preservation and ultimate pace. With the last meeting just seven days previous, some of the teams will already have been burning the candle at both ends to bring their machines back to full health, so expect to see a few tired looking mechanics in the paddock. With the season barely one meeting old, it is a little too early to comment on form, but inevitably the star names will be filtering through, especially with the added bonus of live TV exposure for their sponsors. 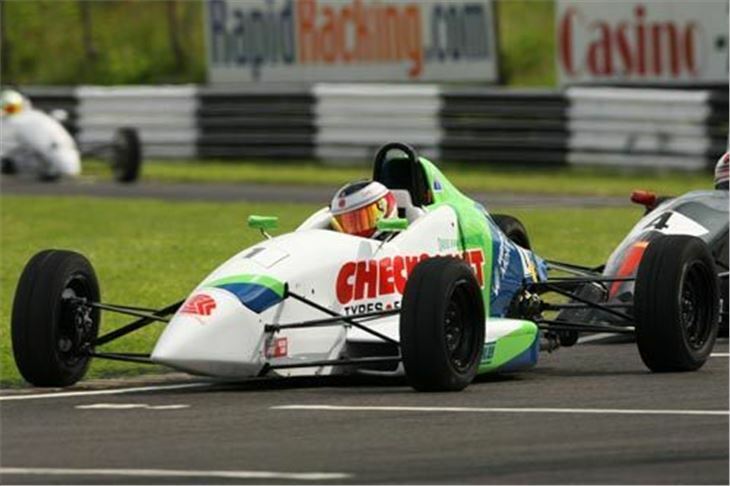 The quality of the entry for the Castle Combe Formula Ford 1600 race makes picking a winner a tricky business. Reigning champion Marcus Allen faces all the opposition he overcame last year and has the 2009 championship winning Spectrum to help him, run by the circuit based Wiltshire College. One of his fiercest young opponents, Felix Fisher from Bridgwater, returns for one of his sporadic outings this year in his Van Diemen RF00, whilst former double champion, Ed Moore from Melksham, has his new Ray GR11. Also Ray mounted is local Castle Combe man Andrew Jones, his GRS07 most at home in damp conditions. The list of top names goes on, with 2010 Carnival winner, Rob Hall, back in the Swift, Bath's Chris Acton the 2006 Class C title holder, in the Ray GRS08, Saltford's Steven Jensen with the Spectrum 011C and in Class B, David Vivian from Bradford on Avon in the Wiltshire College Swift SC92. The circuit's Saloon Car Championship adds a couple of (BMW) Minis to the mix for the first time headed by reigning Sports and GT champion, Mark Funnell from Trowbridge. With his penchant for driving his race car to meetings, Mark is following in the footsteps of double Class C champion, Julian Howell from Radstock, whose BMC Mini was also road registered. With a theoretical limit on the effective power two front wheels can deliver, the eyes are on the progress of the new rear wheel drive 3 litre BMW 130i of Ditcheat's Kevin Bird. Relying on turbos for their oomph are the likes of double champion Tony Hutchings from Calne in his Audi TT and Southampton's Adam Prebble in the Rover, whilst the normally aspirated runners such as Bristol's Mark Wyatt, the reigning class B champion in the Astra and Bridgwater's Tony Dolley in the Peugeot 206 rely on all round driveability. Class B sees the Peugeot 106s such as those from reigning champion, Nick Charles from Yate and David Kift from Bristol versus the Fiesta of Bath's Guy Parr. Russell Poynter-Brown defends his Class D title in the immaculate Corsa 1.4. In the new mildly modified class, the Honda Integra of Melksham's Simon Norris should be worth keeping an eye on. The Sports and GTs will provide the fastest races of the day with the Radical sports racing cars likely to be out at the front. Simon Tilling in his Radical SR3 will be fending off those such as a busy Guy Parr in the Nemesis. In the highly modified class, the Darrian Wildcat of Chippenham's Ian Hall is aptly named with its monster 5.3 litre V8 ready to pounce. He will have the Lotus Exige of Stuart Dixon from Bideford to contend with. Always welcome are races for Minis. This time the Mighty and Super Mighty championships provide their version of ultra close BMC racing. Last year, Louise Inch clinched a poignant victory in the Mighty Minis at the scene of her grandfather Chris's death at the circuit in 1980 from a heart attack in qualifying. Louise even beat her father Paul, who had qualified on pole. Scott Kendall and Neven Kirkpatrick shared the Super Mighty honours last year. The Kumho BMW championship is open to any production BMW sold in the UK, its four classes offering a relatively low cost entry into motorsport, with the added bonus of rear wheel drive. Garrie Whittaker has won all the races so far this year in his E36 M3. A combination of cars and drivers from the circuit's own championships and the visitors will also feature in the various 'open' races, where more or less anything goes. Monday's action starts at 8.40 am with qualifying, racing getting under way from 1.00 pm. Admission prices are again held at £15 for Adults, £7.50 for OAPs, £2.50 for Paddock Transfer, whilst accompanied children under 16 are admitted free. For further information, visit the Castle Combe Circuit online at www.castlecombecircuit.co.uk, Facebook or Twitter.